A few weeks ago, I was invited to celebrate Bertucci’s 35th anniversary at a dinner with their original Chef, Rosario Del Nero! I’ve grown up always living near Bertucci’s restaurants, but I had no idea that the first location was right in Davis Square, Somerville. Our dinner started off with a toast, and there was tons of delicious food & wine to follow. We started off with some apps for the table – an antipasti board, stromboli, and most importantly – those perfect Bertucci’s rolls. The next course was my favorite, obviously, because it was pizza time. 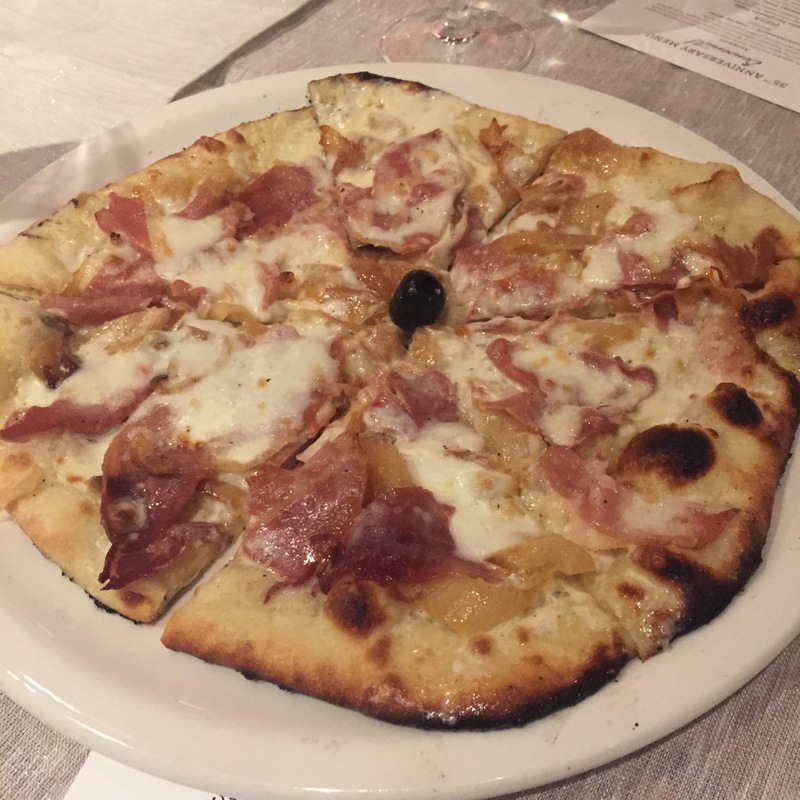 Pictured below are the Nolio, a pizza with proscuitto, caramelized onions, and a cream sauce, as well as a classic Margherita. Both of these pizzas were on the original menu when Bertucci’s first opened, and are being brought back by Chef Rosario. After pizza, the food didn’t stop coming. 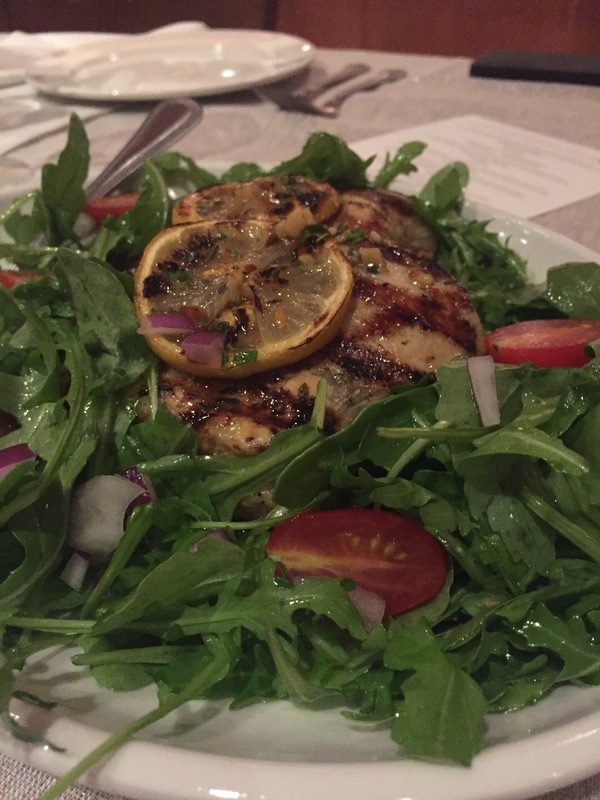 We had salads, entrees, and pasta dishes, and I was starting to struggle a little with being so well fed. 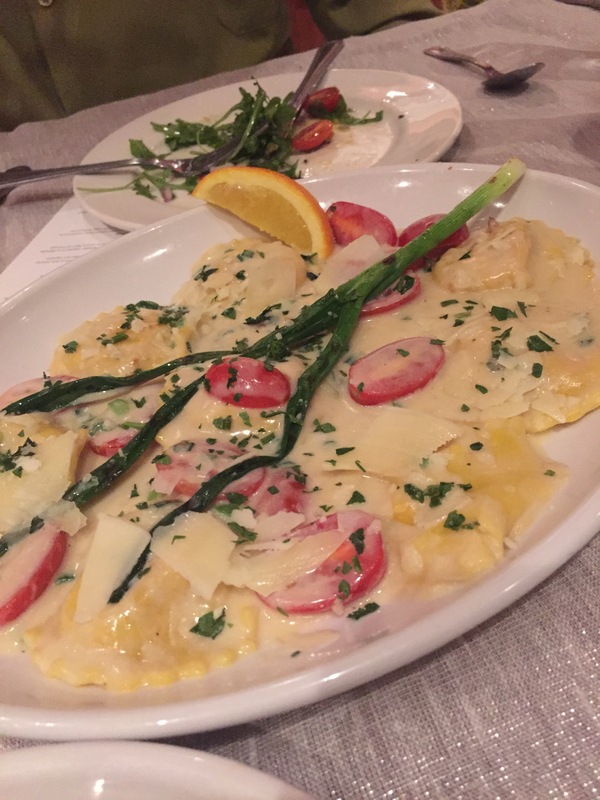 Above is the lobster ravioli and grilled chicken arugula salad. I must say, I’m not a huge salad person, but I really really loved theirs. 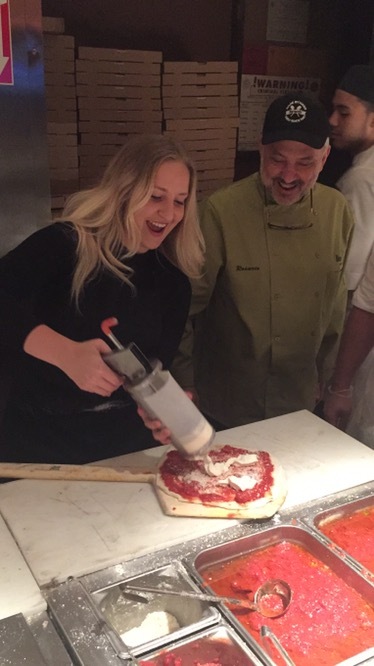 My favorite part of the process was using a ricotta gun for the first time… definitely need one of those for my apartment! Last but not least, we finished off the dinner with cannoli. They. were. delicious. I wish that I had gotten something else in the shot so that you can see how huge it was, but trust me, these are a dessert you’ll want to save room for… a few people had trouble finishing. 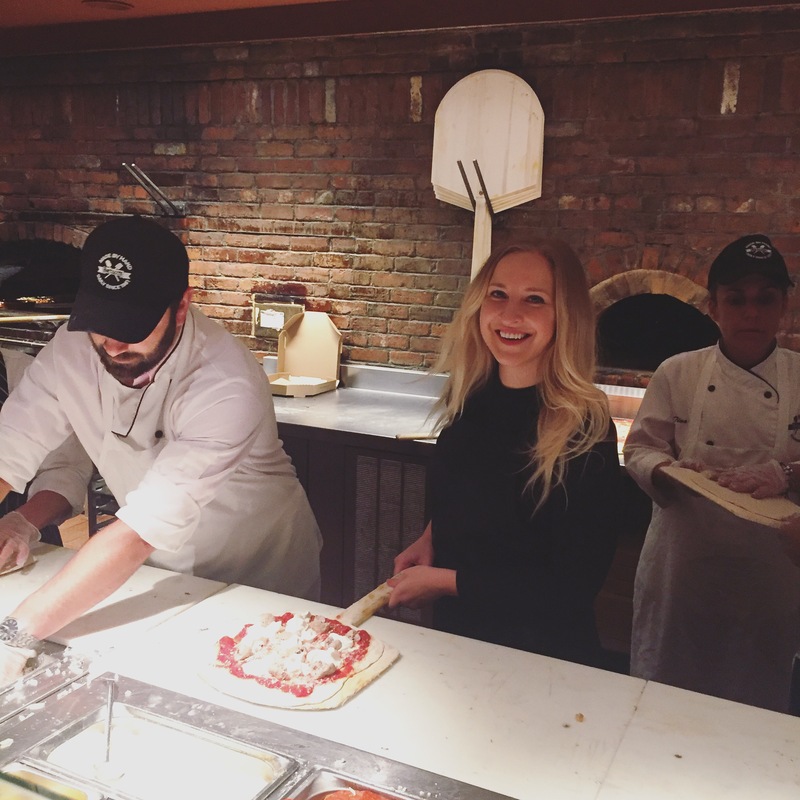 I had such a fun time with the Bertucci’s crew and other bloggers at the event. Chef Rosario is an absolute gem who has such a clear passion and appreciation for quality Italian food. Bertucci’s is definitely in good hands now that he’s back!